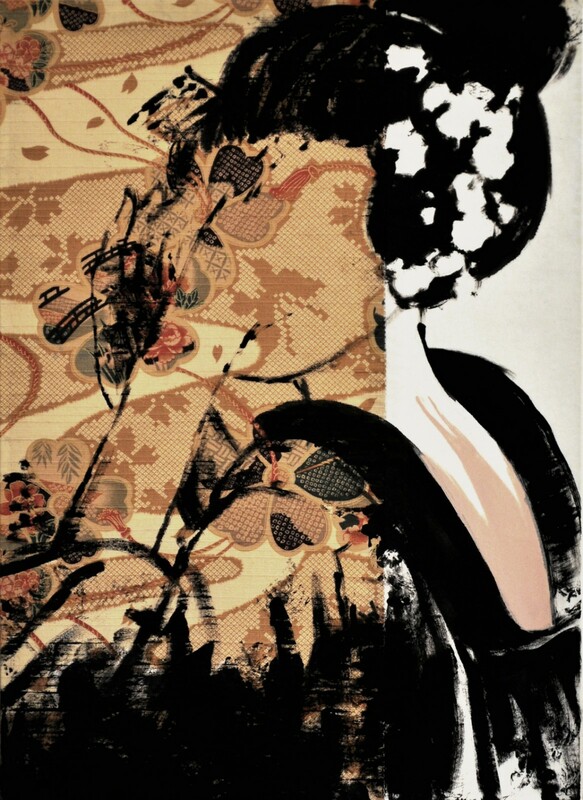 The Geisha Project consists of a series of canvases painted in black acrylic on Japanese fabrics commonly used to manufacture the colorful kimono. 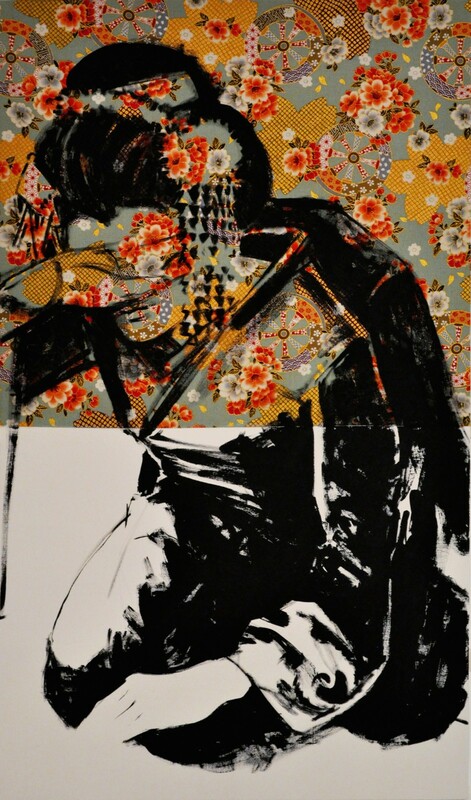 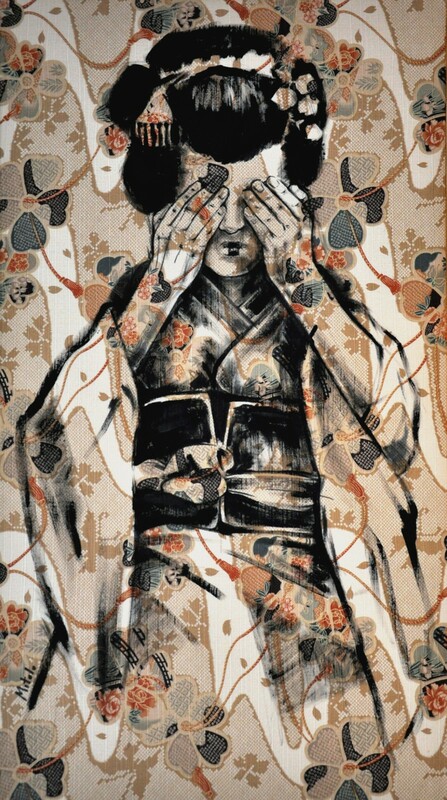 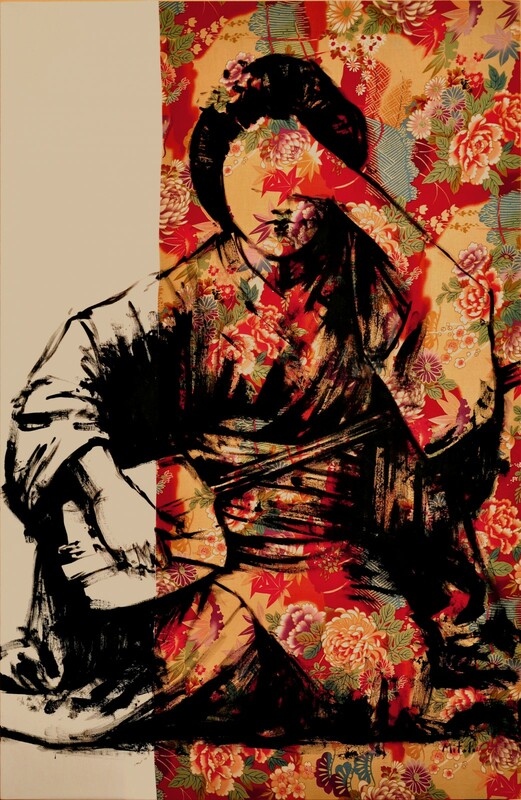 Each work represents a geisha with her face covered by her hands in a pose that may appear random or deliberate, leaving questions about the intentions of both the artist and the subject represented. 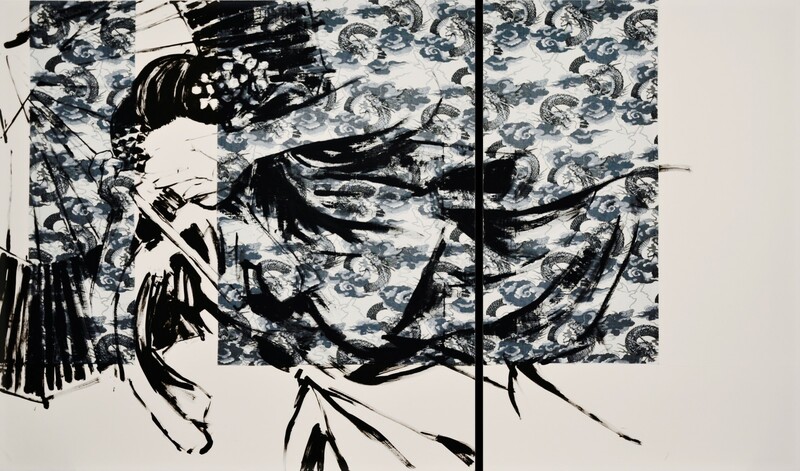 The brutal overlap of the brushstrokes merges with the textures of the fabrics to represent the duality emergence - denial.